Christian fantasy fun, and dread move readers in a thrilling page-turning race through The Dark Forest’s demonic regions, to the Second Coming of Christ and the Millennium on the other side! The path's eastern tree line bristled and produced fifty smoking, craggy-toothed creatures, four-feet tall and glistening black. Argyle knew them well. They were hedge morphs, the lowest of Sahron's servants, sent to tempt the party's courage to draw them off the path. As the creatures swarmed toward them they spewed a rancid, noxious vapor while hissing a hypnotizing sound. Argyle commanded the group, again, to stand firm. But Onn could not. The professor was completely overtaken in thoughtless terror, lost his bearings, and bolted backward into the forest on the westward side of the path. Now within only seconds a thousand morphs were terrorizing the party with the head spinning thunder of a thousand hissings as they swept through their bodies in vaporous flight. Grunman stood reeling from confusion, swinging wildly in every direction with his Ruen sword. But the blade passed right through the creatures as they swished through everyone to the westward side of the path. They were after Onn. "Aphek!" Argyle shouted, and six hundred exploded, scattering the area with a rubbery, black dust. Argyle, Skilts, and Lakland stood motionless with their eyes fixed on the forest until the residue of the creatures began drifting their way. When it drifted over to where they were standing, they ducked and ran to miss it. But it mystically passed through them, just like the morphs. Pedorin was on his belly twenty feet away. Like Onn, he took off running. But he kept enough sense to stay on the path. "Mr. Onn! Are you still among us?" Argyle shouted. The professor had taken refuge under the protruding root of a huge tree. "I am over here Mr. Argyle, please Sir!" he shouted. "Good!" Argyle shouted back. "Now as quickly as you can Sir, run back here to the path. Stop for nothing now. I will meet you half-way. No telling what else came with these few." Onn was petrified. 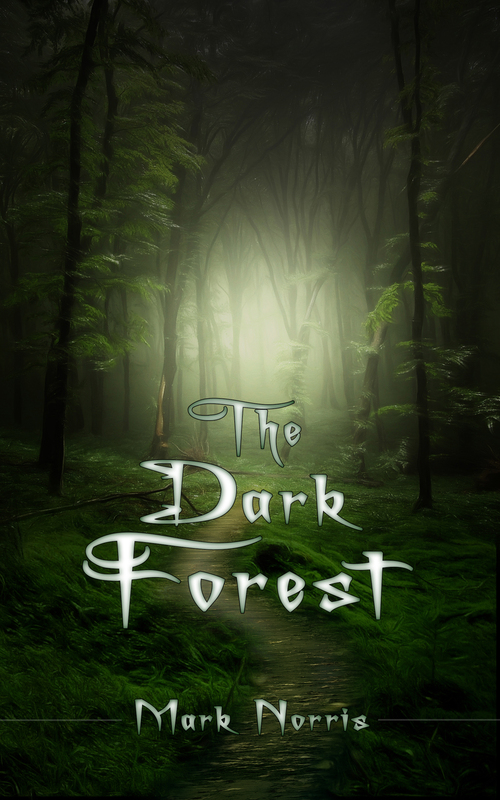 The forest's bluish tar-like goo had completely covered his clothing, and he was shaking miserably in petrifying fear. But he staggered in quick strides toward Argyle while shouting anything that sounded like the guide's morph-destroying word. "Apex! Apek! Aglek!" he yelled breathlessly as he hurried back to the path. "May Yahwin be praised," Onn gasped as he grasped Argyle's outstretched hand. "As the sophist Rockaven on the eve of his wedding, I thought I was a goner for sure." "Only you could bring up the mystics of Manion at a time like this Bonyard," Skilts acknowledged humorously, relieved by his friend's safe end.